Three women, three stories on life, lessons and love. Three journeys towards the belonging place, three journeys back to self. Liliana Flint-Smith is starting out on her own. Leaving a dysfunctional family behind her, and with nothing but a uni degree in librarianship, Liliana moves to a remote village in central NSW. Different from everyone else in the town, she must find her place in a society that doesn’t take kindly to strangers. 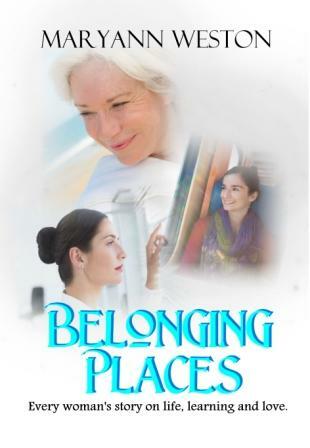 With the help of an embittered old woman who lives in the flat next to her, Liliana begins to find herself and discovers it was never about her changing, but about learning to be herself. Estelle Wainwright is successful. She’s burning up the career ladder and has just made editor at a national woman’s magazine. Her husband Joel is also carving out his niche as an architect and together with son Corey, are the picture of success. Or are they? Journey with Estelle as she fights the tension within herself: work and home, career and husband, businesswoman and woman, and navigates through a crisis that will test the decisions she has made about how she lives her life. Jill Bridges is struggling to stay afloat. With her husband gone and her children busy with their own lives, she’s facing the prospect of a nursing home. But it’s her independence that makes her life worth living and she’ll be damned if she’ll bow to society’s plans for her. With a fierce will, Jill must find a way to triumph over old age and emerge into a life that still holds meaning.